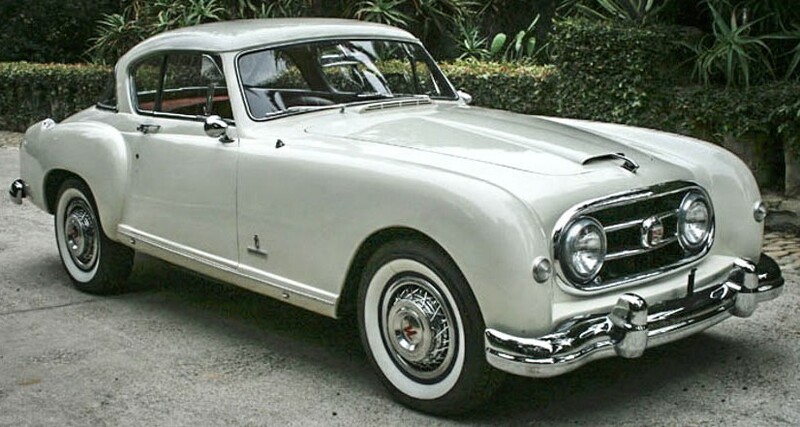 The Nash-Healey automobile was the culmination of an unlikely collaboration between the Nash Car Company, Donald Healey of Britain’s Austin Healey fame, and Italian coachbuilder Carrozeria Pininfarina. 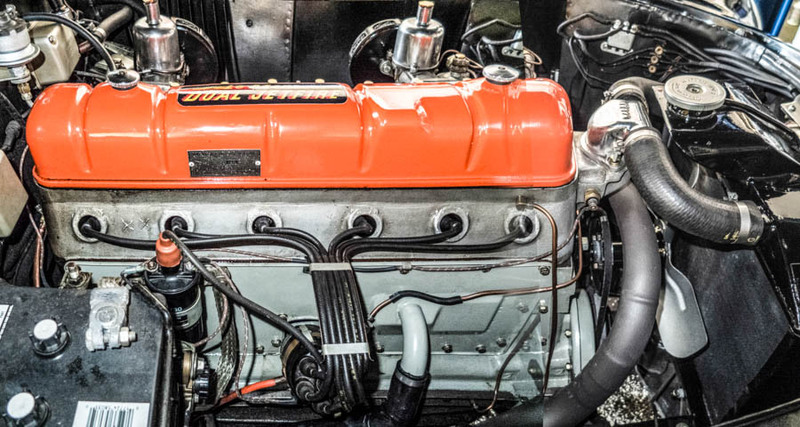 Each vehicle’s construction began with Nash-Kelvinator Co. shipping its robust 6 cylinder overhead valve power train, including Borg-Warner 3-speed overdrive transmission, to Donald-Healey in Great Britain. 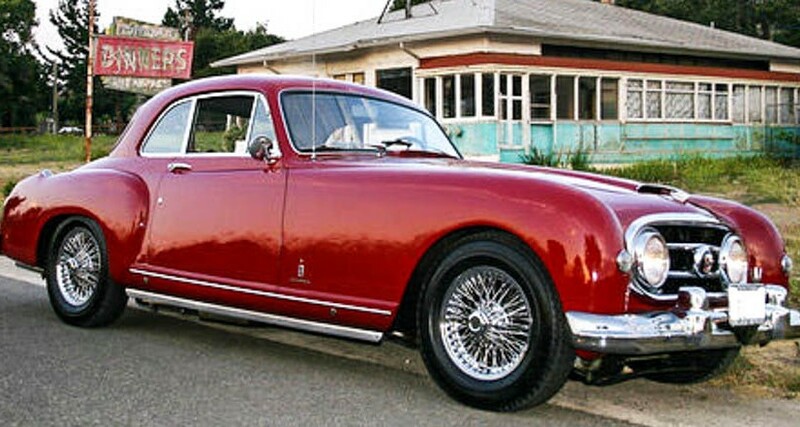 There, Healey developed a special aluminum head accommodating dual carburetors (initially British SU’s), and installed the components in his own bespoke frame, which featured a unique aluminum trailing arm front suspension. 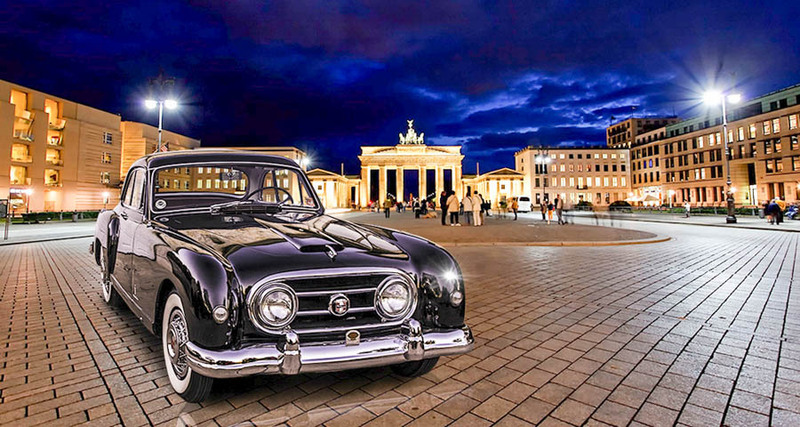 The assembled chassis was then shipped to Turin, Italy where the Pinifarina coachbuilders handcrafted each body and assembled it to the chassis. Finally, the completed masterpieces were shipped to the US for sale in Nash dealerships around the country. 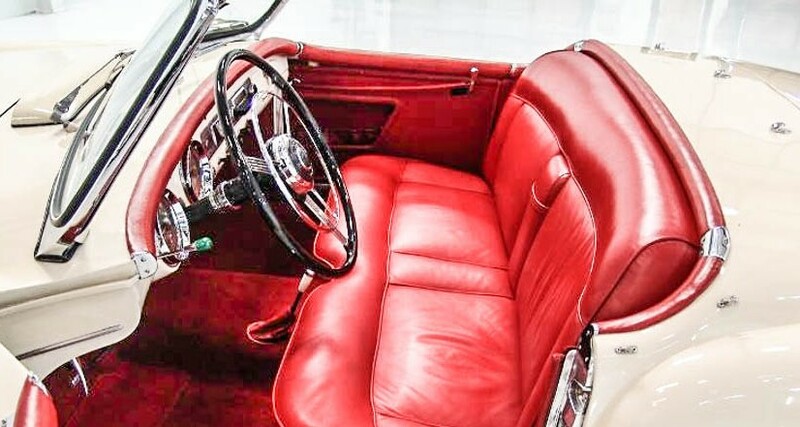 The cars were constructed in both open roadster and 2-door coupe configuration. 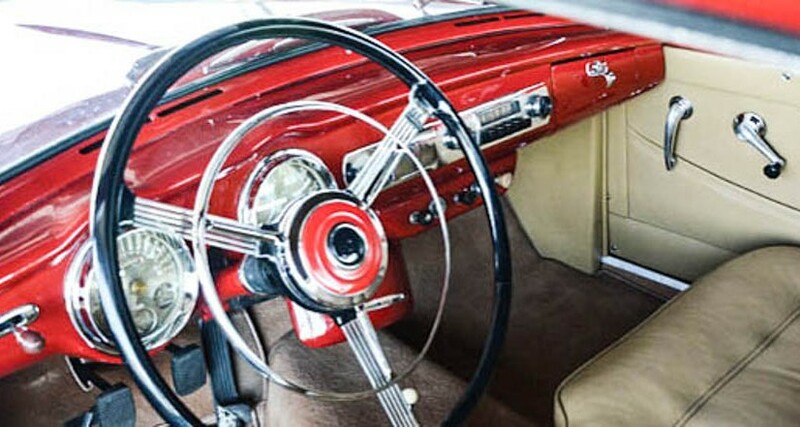 The early roadsters were all-aluminum body, while the later 1952-54 bodies were predominantly steel. 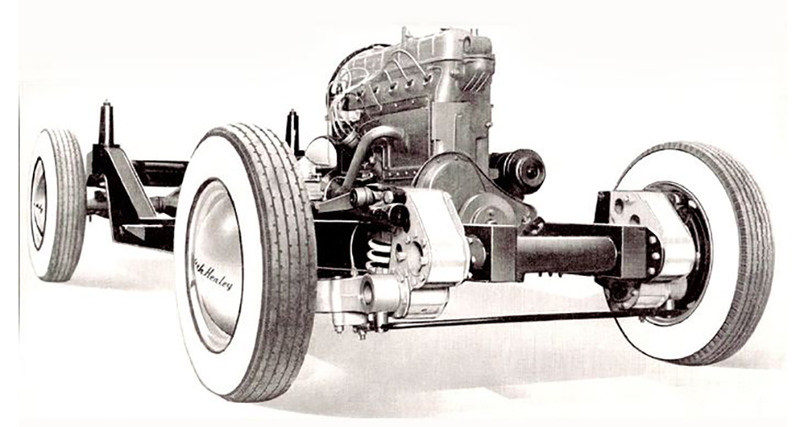 – In 1950 a prototype finished 4th overall. – In 1951 a Nash-Healey roadster took fourth in class and sixth overall behind a Jaguar, two Talbot-Lagos, and two Aston Martins. 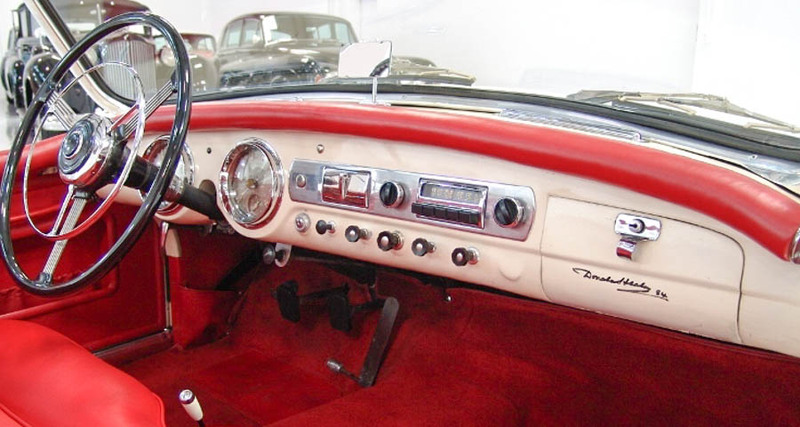 – In 1952 a similar roadster took first in class, and 3rd overall finishing behind only two Mercedes 300SL’s. The engine proved to be incredibly robust, required NO additional oil nor water during the entire 24 hours! Sadly, the double-transoceanic shipment costs and exotic coachwork dictated a factory retail price of $5,908 in 1953, when the new Corvette was selling for $3,513. 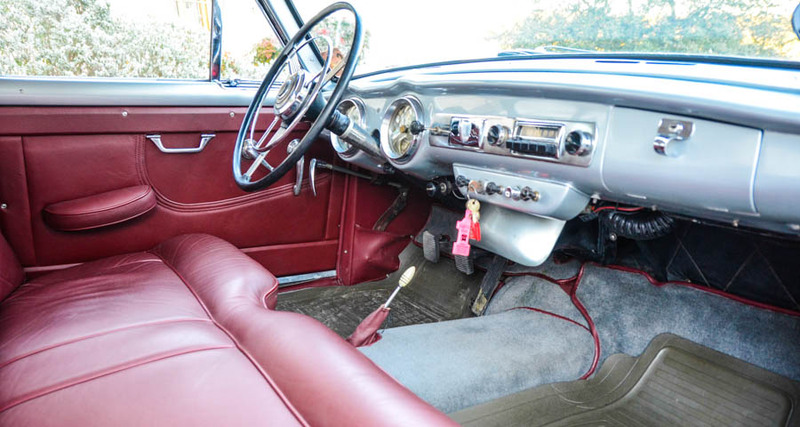 The uncompetitive pricing forced Nash to discontinue production after the 1954 model year. 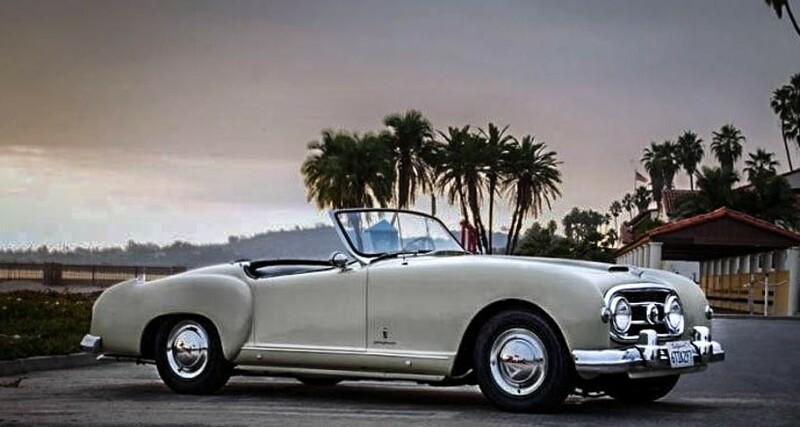 In all 507 cars were built, of which approximately 150 were coupes, and the remainder were roadsters. If you are a Nash Healey owner, we encourage you to register on this site, and participate in our forum.